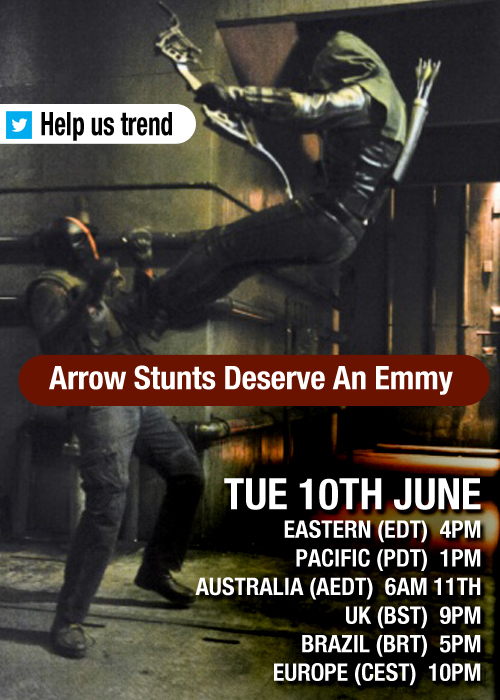 Okay we’re joining up with the Olicity trend peeps and are going to attempt another trend next week on Tuesday 10th June. IMPORTANT TREND! PLEASE SPREAD THE WORD & REBLOG IT! 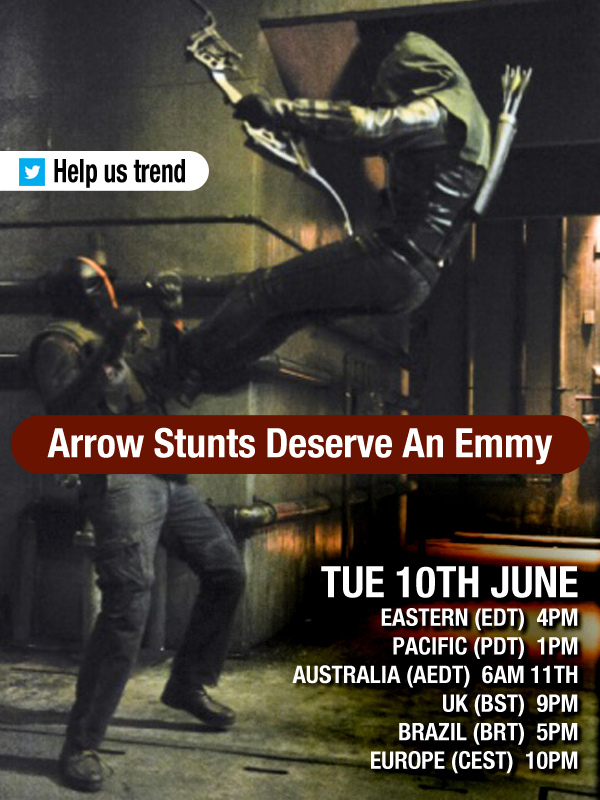 The Emmy’s nominations are just around the corner & it means a lot to the producers, Stunt Team & to our very own Captain Amell. The details are as usual on the poster! 1. Please, be sure to CAPITALIZE EACH FIRST LETTER OF THE WORD IN THE PHRASE. To avoid confusion I recommend to copy paste it from my post. 2. Do not tweet with numbers ( 1.2.3.4) or repeat the same phrase more than once in the same tweet or it won’t count. 3. NO HASHTAGS # !!!! 6. Please spread the word & get as many people as you can. I like it. Don’t know yet if I’ll be around or not. Thanks. I saw you mentioned that previously. I don’t think my mind can wrap my head around an app right now. Patrick has been home sick (GI sick) all week and now Jeff and I are getting it. If I make it through this weekend it will be a miracle.